SOUTH HADLEY – If you make it, they will come. And if last year’s festival was any indication, South Hadley sure loves its chowdah’. 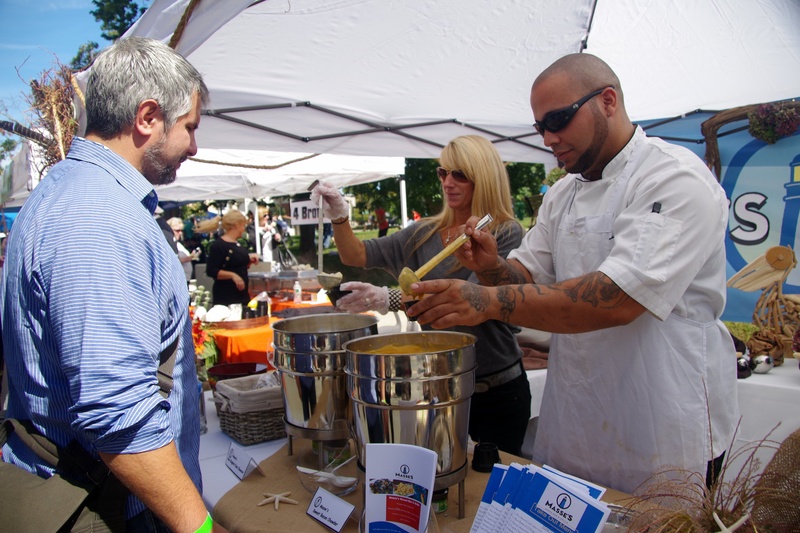 Back for a second year, the Valley Chowder Fest is set for Sunday, Sept. 21. And organizers have planned to double its size. “We were overwhelmed with the response last year,” said Lions Club President and event co-organizer Marilyn Ishler. Such a larger number of area residents attended that participating restaurants actually ran out of chowder to serve.“A woman said to me, ‘You should have known there’d be a crowd – we’ve been waiting for this to come back for 15 years!’” said Ishler. She and Yarde Tavern manager Mary Mercier collaborated last year to revive the festival and turn it into a fundraiser for the South Hadley Lions Club. One hundred percent of proceeds raised goes directly toward the club, who then turns around and puts that money back into the community. Eight restaurants are participating in the Chowder Fest this year. Returning competitors are Dockside, Masse’s, Willits-Hallowell of Mount Holyoke College and the Yarde Tavern. New restaurants include the Egg and I, the Ledges, New England Fish and Chips and Smithsonian Café. Rather than have official judges this time around, Chowder Fest organizers are letting participants have their say. Award categories include Best Traditional Chowder, Best Non-Traditional Chowder and Best Decorated Booth. “The people shall decide!” said Ishler. Entertainment that day will be provided by acoustic bands Northern Lights and Moose and the High Tops. Each have South Hadley native members. And the Melha Shrine Clowns will be on site to entertain the youngsters. Tickets are $10. When participants pay, they will receive a wristband and book of designated raffle tickets corresponding to each category. When finished sampling, participants will then put the specific raffle tickets into containers marked for each restaurant. The event will be held on the town common. The small side street between the common and the shops at the front of the Village Commons will be shut down and give much more room to vendors and participants. Because Chowder Fest was so popular last year, Ishler said restaurants have been instructed to bring enough chowder to feed between 400 and 500 people. Chowder Fest will take place from 12 to 4 p.m. Prizes will be awarded at 3:30 p.m. In addition to chowder choices, other snack-type food items will likely be sold by the Lions Club and possibly other non-profit organizations from town. The Lions Club eye mobile will also be on site.